This Fresh Salsa Recipe contains fresh tomatoes, onions, cilantro and jalapeño for an unmatched taste. Our Fresh Salsa Recipe is the perfect way to make the most of farmers' market season. Make a batch today to find out for yourself.... Add the cut wedges of potatoes and boil for 3-4 minutes. Drain on a clean kitchen towel to remove excess moisture. Into a mixing bowl add all the seasoning ingredients. Add tomato and stir to combine, letting the residual warmth from the capsicum soften the tomato just a little. 3 When onion is cool enough to handle, remove skin and discard, then cut onion into wedges and stir through capsicum mixture. This Fresh Salsa Recipe contains fresh tomatoes, onions, cilantro and jalapeño for an unmatched taste. Our Fresh Salsa Recipe is the perfect way to make the most of farmers' market season. Make a batch today to find out for yourself. 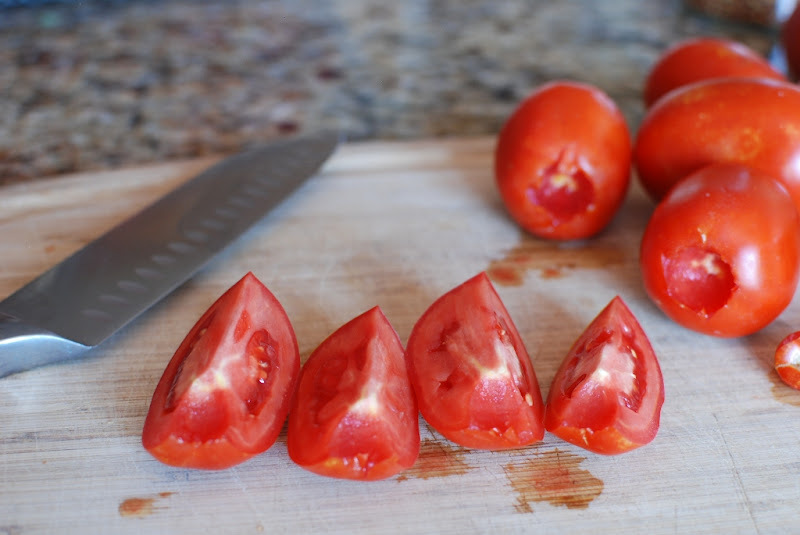 Slice or cut the tomatoes into wedges, depending on their size. Place in a large salad bowl. Cut the flesh of the watermelon into large chunks and add to the dish along with the red chilli.